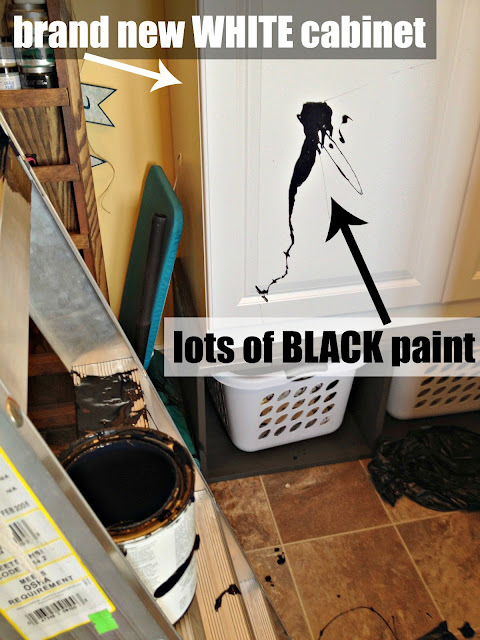 I had a post all worked up to show you the beginnings of my craft/laundry room makeover. 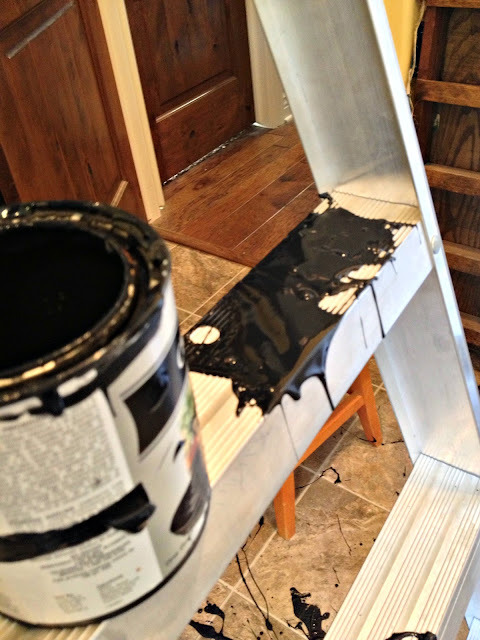 Instead, let me share with you the joy of climbing a ladder, talking to the husband, carrying a paint can and brush, all while not looking where you're going. Hind sight being what it is, I can't say I'd recommend it. The picture quality is poor here. 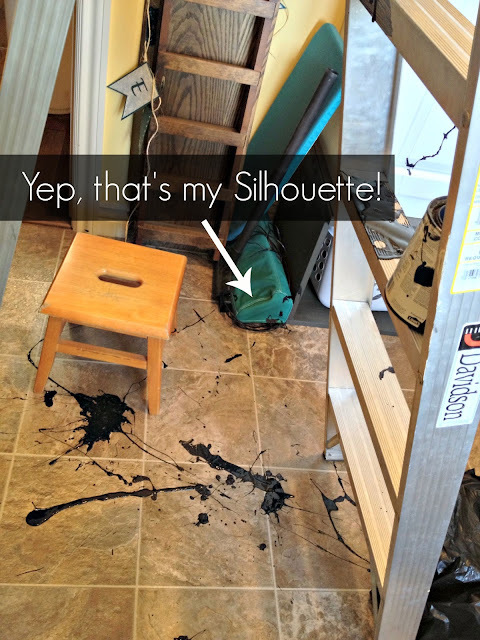 I blame the tiny room, bad lighting... oh, and the fact I was covered in PAINT!! And of course, I put my Silhouette down in the little corner for "safe keeping". THE WALL I WAS ACTUALLY TRYING TO PAINT!! I am pleased to see that this happens to someone besides me!! 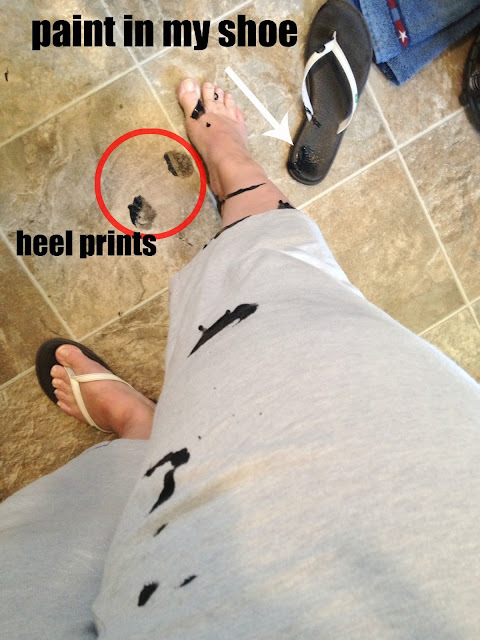 Heel prints everywhere, everytime!! Sorry this happened to you though!! I had something similar happen to me a few years back involving Ralph Lauren paint Paprika. Painting away I sent to shift my foot and lost by footing. Dark red paint everywhere. Worst of all, I broke my foot and dislocated my ankle and had to go to emergency. Poor nurses thought I had been in a car crash or fell through a window because I had Paprika in my hair my paint clothes even in my ears and nose. Funny to look back on now, but not so funny when it happened. The exciting life of a do it yourselfer!